What drama is Nikki getting into now? 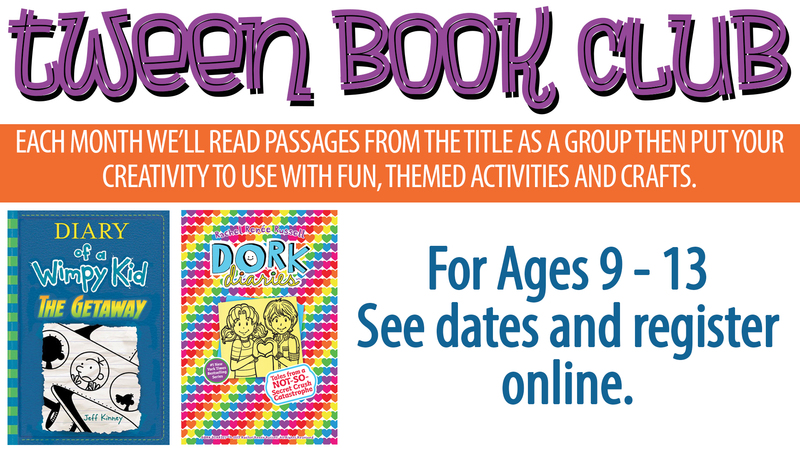 Join us for a tweens only book club! For September, we will be discussing the series of Dork Diaries, with a specific focus on Tales from a Not So Secret Crush Catastrope. Each month we’ll read passages from the title as a group and then put your creativity to use with fun themed activities and crafts. Registration is required. Ages 9-13.